Baile An Locha minors won a historic first ever All County minor Feis 7’s title at Mayobridge on Sunday afternoon. 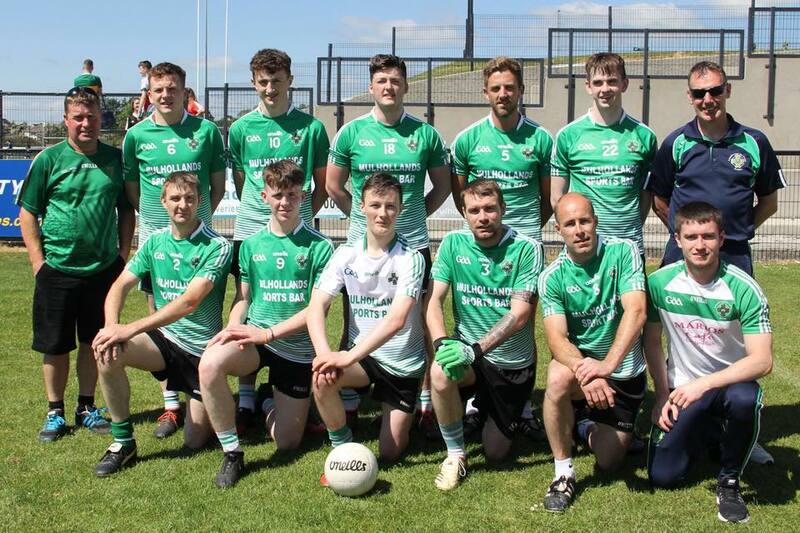 Having won the East Down section with five victories in five games they made it six from six with a thrilling win over the South Down champions Attical. With Tiernan McCullough out injured from the ten that won the East Down section, Caolan Murray was his replacement. The game was played 7.5 minutes each way and Attical led at half time 1-3 to 1-2. Eoin Lundy getting the Loch’s goal with Andrew Gilmore and Caolan Burns in target with the points. In the second half the Loch brough their A game and with a much improved tempo and energy they outscored Attical 1-4 to 0-2 to win the game. Burns got the Loch’s second goal of the game and added a second point. Gilmore also got a second minor of the game and a brace from Shea Croskery capped a great win. Ballylough: M Croskery, Jack Matthews, R McMullan, D McMullan, E Lundy (1-0), O Flanagan (capt. ), C Burns (1-2), A Gilmore (0-2), S Croskery (0-2), C Murray. Well done to the players and management. It would be remiss not to mention the full Ballylough playing squad as we have trained hard over the past few months for this success and competition for places on the day made it a difficult selection. Our seniors lost out to a more experienced Dundrum side 3-7 to 0-7 in the Junior Feis 7’s final. With three minors involved including two that had just won the minor final the Fin succumbed to a strong second half showing from Dundrum. Sean Fitzsimmons 0-3, Oran Flanagan 0-2, Paul Flanagan 0-1 and Sean Willoughby 0-1 getting the scores for the Fin. Falean Murphy, Ruairi Quinn, Rory Murphy, Eoin Lundy, Marty Willoughby and Calum Croskery also featuring. Our U14’s were clinical in seeing off the challenge of Drumaness last Monday evening to remain unbeaten and top of the league at the halfway stage in the league. Well done to our county players Marc Quinn and Ethan Murray who played for the Down ETS U14 footballers in games against Dublin and Offaly. Our U12’s lost away to a strong Bredagh C side, 5-10 to 3-7. Dillon Steele top scored with 3-1. Marty og flanagan 0-3, Caolan Flanagan 0-1 and Brogan Clarke 0-1 also on target for the Fin. No game next week as we have a bye. Lotto 4, 9, 23, 28. No Winners. No winners. Jackpot now £3,400. Visit our website www.aughlisnafingac.com and click on the ‘Play Lotto’ klubfunder link before the Friday draw. Tickets can also be obtained from Mulhollands Bar or from all usual sellers.